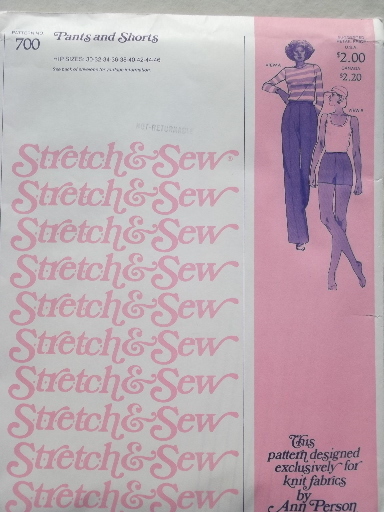 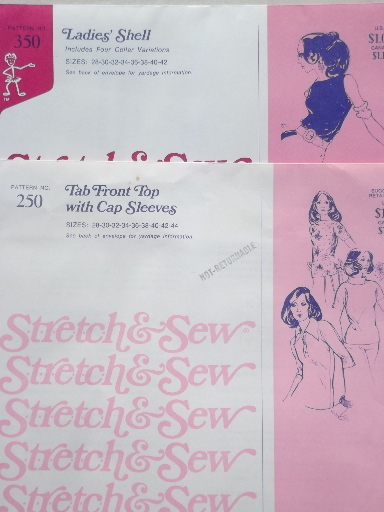 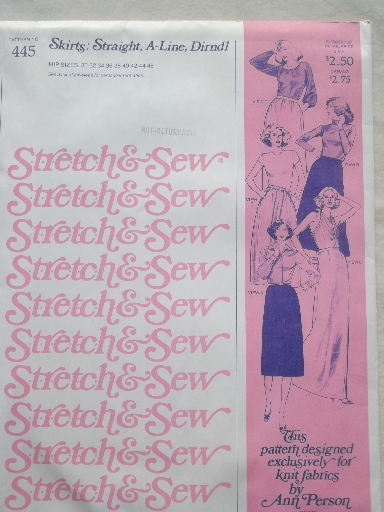 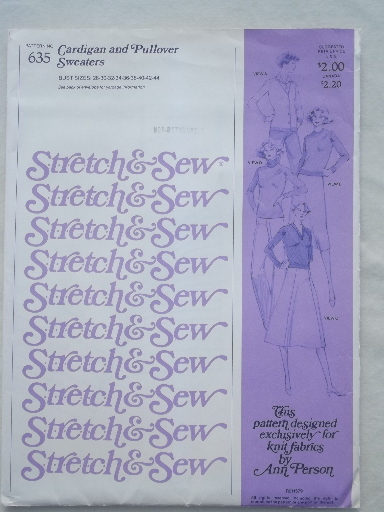 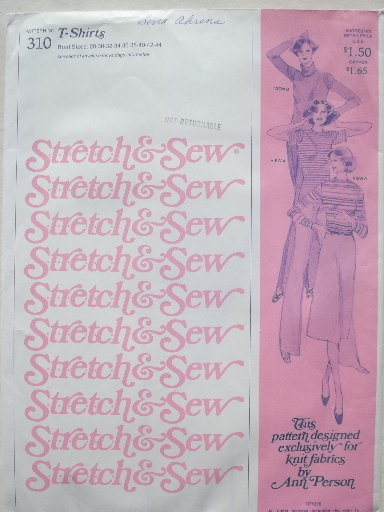 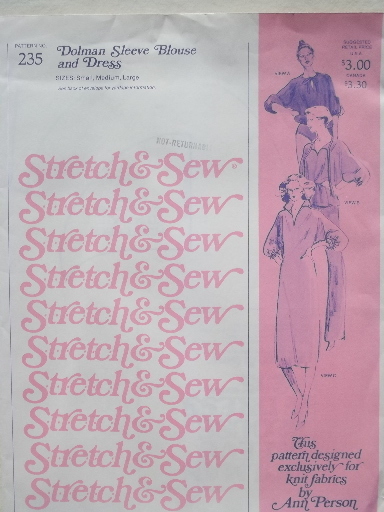 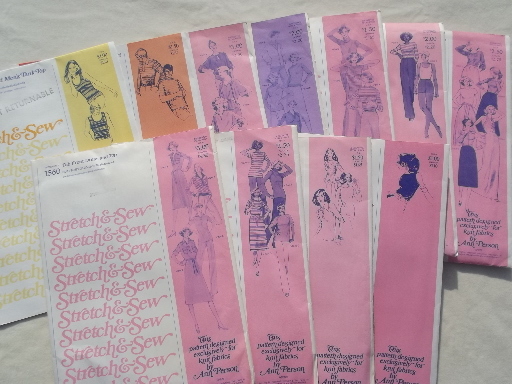 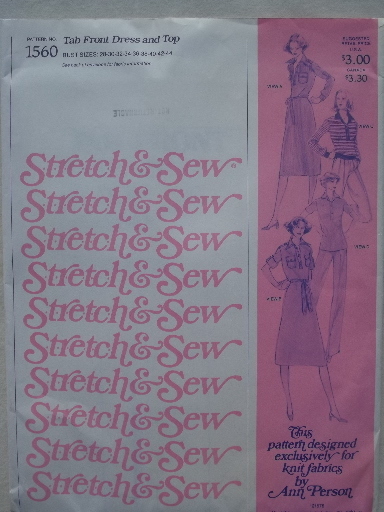 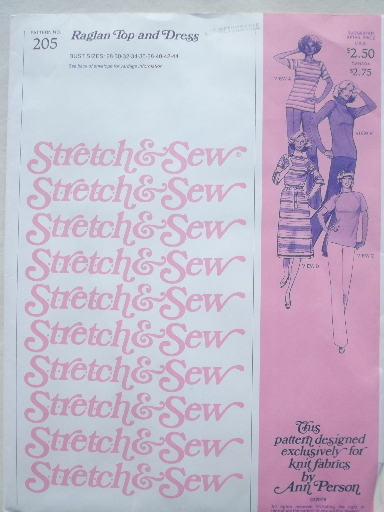 Lot of about a dozen vintage Stretch and Sew sewing patterns for knit fabric fashions in 70s - 80s retro styles! 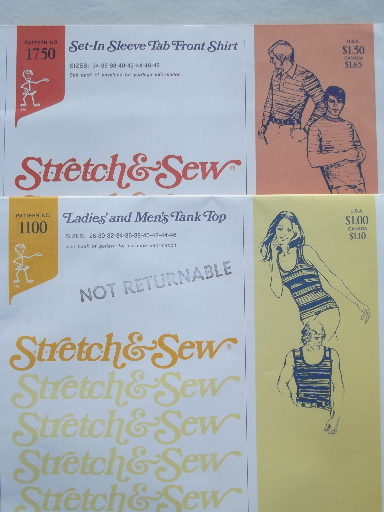 These are mostly multi-size patterns. 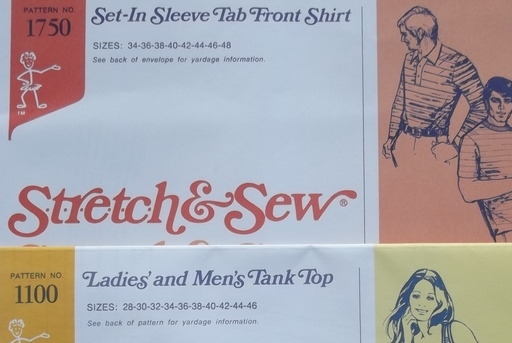 Some have been used, but all look complete. 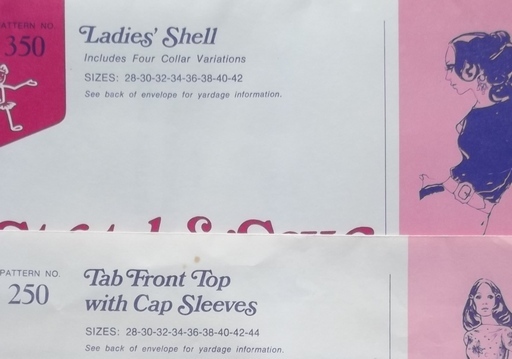 The envelopes are a little worn, with owner&apos;s name in ink.